Three times the cost of 2001. The first is a song by the Commodores, the second a phrase traced to Shakespeare and the third is a finding by Milliman in its annual medical cost index study. You read that right. According to Milliman, health care costs for families of four have doubled in the last decade and tripled since Milliman began tracking this information in 2001. The report, the 2015 Milliman Medical Index, went on to note that the cost of health care for a typical American family of four receiving health insurance from an employer-sponsored preferred provider plan will increase by 6.3 percent or $1,456, resulting in a total cost of over $24,000. When placed in the context of employee compensation, wages are not keeping up to the health cost increases. Mercer noted in its 2014/2105 U.S. Compensation Planning Survey that the average raise in base pay is expected to be 3.0 percent in 2015. 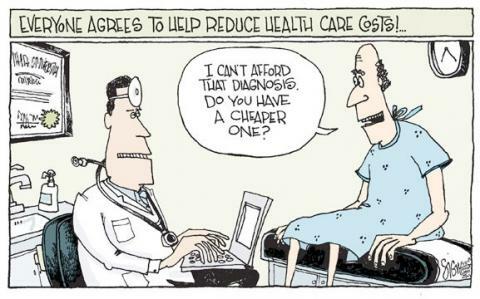 So if you thought that raise you were getting is paying for the new car or vacation, sorry, it’s going to pay for your medical care. In fact, the reason the raises may not be more than 3 percent is due to the fact that employers are bearing a good share of that increase, too. Milliman found that employers were paying about $14,000 of the $24,000, leaving employees with the balance. So are you feeling 6 percent healthier this year? Are you feeling that much better than two decades ago? I’ve noted in prior blogs that consumers are bearing increasing responsibility for health care costs, and that a significant number of consumers are facing financial distress and bankruptcy due to medical costs. So what are we getting for all that spend and stress? In other industries, like technology, the unit costs tend to go down over time while the quality goes up. It is less expensive today to host an application on Amazon Web Services than it’s ever been, and the quality is better. That does not seem to be the case with health care – why are we not seeing the quality go up and the unit costs go down for care? Why do we not know the true costs of care we deliver, why do we find it so hard to measure outcomes and why do consumers have more costs but not much more health? This is an industry that still uses fax for the majority of its communication. This is an industry that talks about interoperability but really believes that the way it should do that is through market dominance. This is an industry that has a commitment to care for patients, but can’t tell a patient what it will cost them and is reluctant to treat them if they don’t have the right insurance. Now is the time to shift. We cannot wait until another 24 years from now when the costs of care are six times higher. We need to say no to fax, say yes to interoperability, say yes to increasing price transparency and say yes to improved communication between and among care providers and their patients. The next decade needs to see a decrease in the unit costs of care and an improvement in quality. We need to stop saying that health care is different. Those claimed differences aren’t making the right difference.